Let’s face it – the mundanities of everyday life can leave us little time for creative outlet. Often, a decision to take a new route to get to work is about as much stimulation the right side of our brain (aka your mind’s art department) will get. In between the drudgery of daily routines, it’s important that we unleash our creative side; to dip our brush in some paint, immerse our hands in clay, capture the moment from behind the lens... I’m sure you get the picture and, with our help, perhaps you can create one as well! Below are a handful of places in and around Cape Town offering lessons aimed at getting those creative juices flowing. We live in a hub of creativity, after all! Who hasn’t fantasised about painting something obscure and then receiving offers for your efforts in the six-digit category? Unfortunately some of us are ill-equipped for such endeavours and, like me, hardly able to master the ancient art of stick figure drawing let alone copying the work of the Old Masters. So imagine my relief upon discovering that even those with the creative capacity – or dexterity – of a two-toed sloth can be whipped into a Picasso-like painter. And if you’re lucky enough to already have an artistic aptitude, there’s something for you too! Bright Creative Space is an art studio that thrust open its doors in late 2013 to offer both novices and seasoned painters a variety of classes. From figure drawing to expressionism and beginner ‘I Know Nothing’ courses, the hip Woodstock-based centre’s schedule of tutorials is all about nurturing the creative within. Not to mention, promising students get the opportunity to exhibit their work at Bright’s bi-annual exhibitions, where interested buyers can purchase pieces in person or online. Founder Ross Chowles, the executive creative director of The Jupiter Drawing Room, has a hand in teaching the art classes; though, part of the beauty of Bright Creative Space is that you never know who you may find leading an impromptu session. Time: Times vary between classes. Cost: Between R150 and R250 per a session, or higher for one of their courses, which consist of four separate classes. If you can, it’s a good idea to check out their website, www.brightday.co.za, for more information regarding class times and costs as well as their schedule of classes. These classes are facilitated by Leonie Brown, a professional artist with 14 years of international experience. A variety of courses are available; learn to paint in 32 days, painting portraits like the Old Masters, study the techniques of the Impressionists and how to create abstract paintings. Each participant will receive individual attention, and classes are suitable for just about anyone – from absolute beginners to professional artists. Cost: Between R440 or R880 per a month depending on class. Mosey around their website, www.lifeartschool.co.za, or call +27 (0)82 449 8475, for more information on venues and other available art workshops. Why are Frank’s eyes a shade of demon-red? Why does the birthday girl look like a pixelated emoticon from a 1980s Atari videogame? All this despite the fact that your camera, in the right hands, could be used as a satellite too. Well, practical tips and expert advice from those who are actively involved in professional photography would surely render things picture perfect. Learn the basics and improve your prowess behind the lens with guidance from the following snap-happy schools. Offering both full-time (two years) and part-time courses as well as various workshops, the Cape Town School of Photography has an extensive program with a host of passionate mentors. Whether you’re an amateur or seasoned snapper, the school’s personalised training approach is sure to equip you with basic starting skills or help develop your talent. Cost: Cape Town School of Photography also offers a number of related courses and workshops, including documentary production and studio lighting. It is best to consult their website, www.ctsp.co.za, for more information, or email info@ctsp.co.za for part-time inquires, and sandy@ctsp.co.za for full time inquires. David Lazarus, owner of DLPHOTO, offers classes for both beginners and more advanced photographers on either a group or one-on-one basis. David sets an easygoing tone, lessons are practical, and learners are reminded to “never be afraid to ask questions”. Not yet an owner of your own snapper? No problem; David will provide you with the necessary camera gear for each session and, in fact, encourages this. Classes cover a range of interests and are geared towards your specific need. Time: One-on-one classes run from Monday to Thursday at either 10:30am, 2:30pm or 5:30pm. Group classes are held every Saturday from 10:30am. Cost: One-on-one workshops cost between R800 and R4000 and group sessions cost between R3100 and R3600. It is best to consult their website, www.dlphoto.co.za, for more information. Good to know: Hours are flexible and can be tailored to your schedule. The price includes all cameras and equipment. Stop pottering about and get the (potter’s) wheel rolling. Learn how to make vases, urns, or even a bowl for your pair of lucky socks... Alternatively you might have a penchant for sculpture and an urge get your hands on a bust. I know I do. Classes are small and intimate giving students ample individual attention as they learn the tricks of the trade. Beginners are more than welcome to come and learn about pottery basics such as glazing, firing, and hand and wheelwork. Time: Morning classes on Thursdays: 10am – 12:30pm | Evening classes are on Mondays and Thursdays from 7:30pm – 10pm, and on Wednesdays from 5pm – 9:30pm. Cost: Fiddlewood invites everyone interested to contact them for pricing as well as more information. You can drop them a line on +27 (0)84 690 3641 or send an email to their address, goose@polka.co.za. Set in a beautiful, high-ceilinged studio in Green Point, the Barbara Jackson School of Ceramics offers classes for both beginners and more advanced ceramicists. Classes focus on hand-building as opposed to wheelwork, and glazing and firing techniques are also taught. To find out about the prices and types of classes along with other specifics, feel free to give Carol a ring on +27 (0)21 434 9981 or send an email to her via carol@starmail.co.za. Time: Morning classes on Mondays from 10:30am – 1pm | Tuesdays – Thursdays from 10am – 12:30pm and evening classes are held every Tuesday and Thursday from 5:30pm – 8pm. 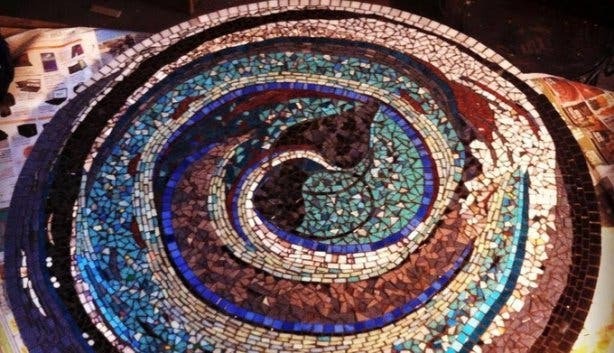 Become a master mosaicist! Discover the art of creating beautiful images by arranging small pieces of glass, stone or tiles. 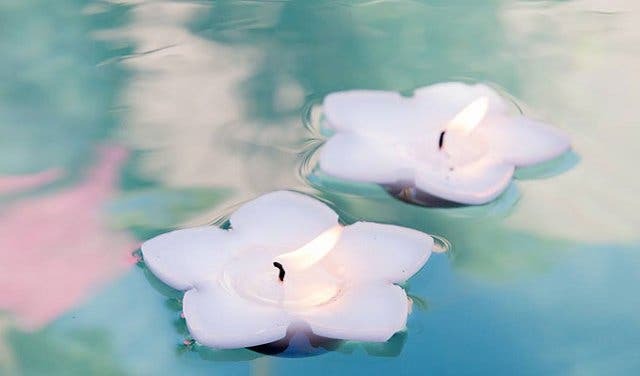 This inventive technique is an excellent way to get your creative juices flowing, learn a great craft skill and simultaneously make something to beautify your home. 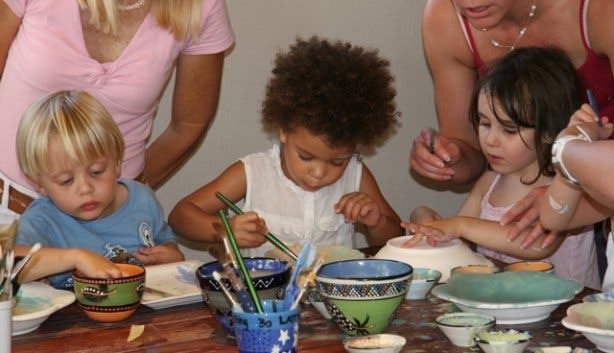 These classes are perfect for beginners, hosted in a fun and encouraging environment and are the perfect idea for a birthday party or kitchen tea. ‘You will be amazed at what you can achieve after just one day’, says Bit-by-Bit owner Kerry Atherstone, who offers half-day workshops aimed at beginners. What a fantastic way to spend the day; relax, learn an amazing skill and you get to take home your project. Great for a kiddies birthday bash, Bit by Bit Mosaics also offer a party hosting service as well as take-home kits. Do note that there are limited spaces available for workshops and classes, so it’s necessary to book in advance. You can book and also find out the times by calling Kerry on +27 (0)79 042 3908 or emailing her at kerryatherstone@gmail.com. 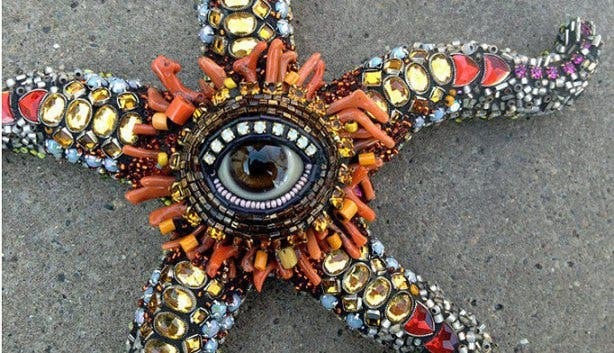 Join Michelle McConnell, who started her journey into the art of mosaics after an inspirational trip to Turkey, at her home studio in Durbanville. Named after the large tree growing in her backyard, her studio is the perfect place for budding mosaic artists and the environment is relaxed and sociable. Time: Morning classes from 9am to 12pm | Evening classes from 6pm to 9pm. Cost: R600p/p per month; this includes refreshments and use of Big Tree’s tools. Materials (such as tiles, glues and so on) are available to buy. Please email michellemcc@mweb.co.za, or call +27 (0)73 653 2688, if you would like more information. Whether you’re burning the candle at both ends, seeking a creative outlet or just skeptical of Eskom’s reliability, candle making is an easy and fun craft to learn. This one-stop shop for candle and soap making materials offers two courses to the public: the Full Monty and a Foundation Class. Have the chance to take home the variety of candles you have created – from gel candles to floating ones and a whole bunch more options. Please bring a lunch as learning makes you hungry! Times: Classes are run by appointment, with The Full Monty running from 10am – 3pm and Foundation classes running from 10am – 1pm. Please book directly with the teacher, Solly: +27 (0)82 700 5233.